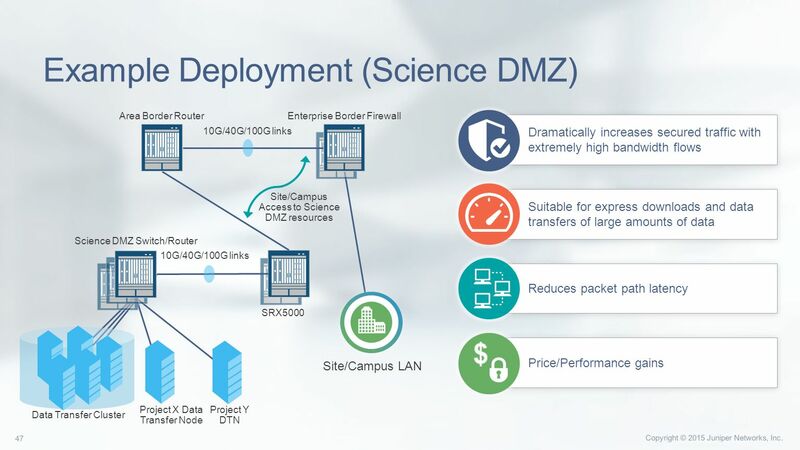 The Science DMZ model helps colleges and universities take advantage of advanced network capabilities to help accelerate discovery on campuses. Science DMZ addresses common network performance problems encountered at research institutions by creating an environment that is tailored to the needs of high performance science applications, including high-volume bulk data transfer, remote experiment control, and data visualization. Providing an on-ramp for local science resources to access wide area science services including virtual circuits, software defined networking environments, and 100 Gigabit infrastructures.